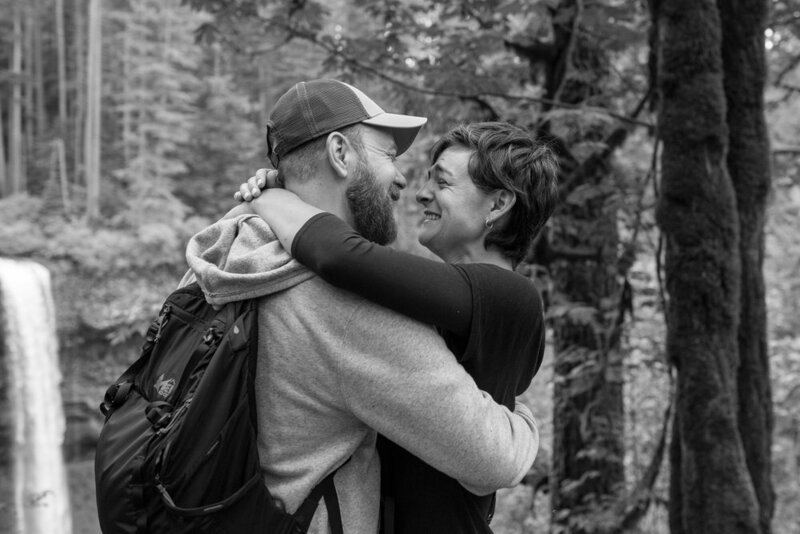 Darren spent five miles on the hiking trail at Silver Fall State Park with an engagement ring burning in his pocket till he reached the perfect spot to pop the question to his unsuspecting girlfriend, Haley. Little did she know, Darren had hired me to be there waiting and ready. Well done, Darren!